When it comes to superhero adventures, Marvel and DC – the “Big Two” comic book publishers – tend to dominate the discussion. This isn’t limited to comics, either; the characters owned by Marvel and DC are easily the most visible (and as a result, most talked about) costumed crime-fighters in the film, television and video game industries, too. But that doesn’t mean that every superhero movie released over the years has been a Big Two brainchild. On the contrary, flicks based on indie comic book heroes published by the likes of Image and Dark Horse have found their way into cinemas, as well. What’s more, there have also been films headlined by spandex-clad do-gooders who were created entirely for the screen, without having ever appeared in pen-and-ink form before. Given the lower profile typically attached to non-Marvel and DC superhero movies, we thought we’d spotlight the best examples out there. At the same time, we’ve also decided to flag some of the very worst, so that you can avoid investing your time in a dud “cap and tights” outing. Before we jump into the list, we should quickly point out that we came up with a few selection criteria to keep things manageable. For starters, we’ve ruled out any straight-to-DVD efforts – otherwise this list would have devolved into an endless stream of terrible sequels. We’ve also tried to be very strict in our definition of what a “superhero” actually is, which eliminates The Matrix and other movies partly (but not solely) influenced by the genre. All that said, we present The 10 Worst And 10 Best Superhero Movies (That Aren’t Marvel Or DC) for your consideration! 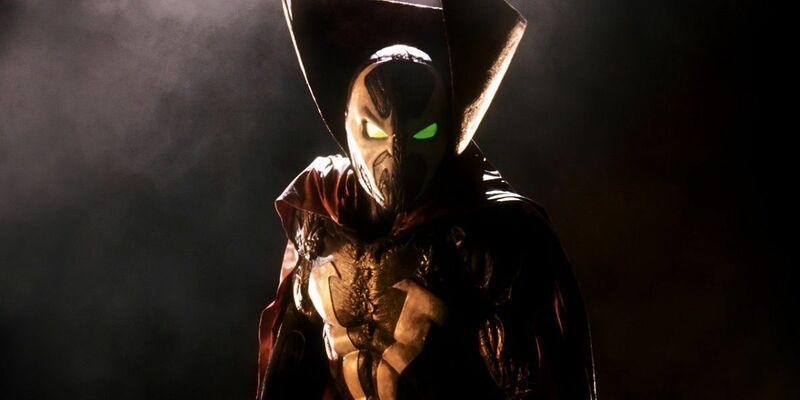 Created by maverick superstar artist Todd Macfarlane as one of the launch characters for Image Comics, supernatural superhero Spawn maintains a devoted following nearly 30 years later. That said, even the most ardent fan would admit that 1997’s Spawn was an abysmal film. Much of the movie’s appeal when it was released were its then-incredible visual effects, which have since aged terribly. Without its CGI crutch to lean on, Spawn’s many faults become even more pronounced – most notably, a feeble plot and middling performances from its cast. True, John Leguizamo is suitably irritating as demented clown The Violator, but Michael J. White is flat as Spawn, while veteran actor Martin Sheen is a poor fit for villain Jason Wynn. Here’s hoping the upcoming reboot finally delivers the film fans are craving. Eschewing the excessive CGI that often plagues superhero movies, Oscar-winning auteur Guillermo del Toro opted to have prosthetics and animatronics take center stage in Hellboy. 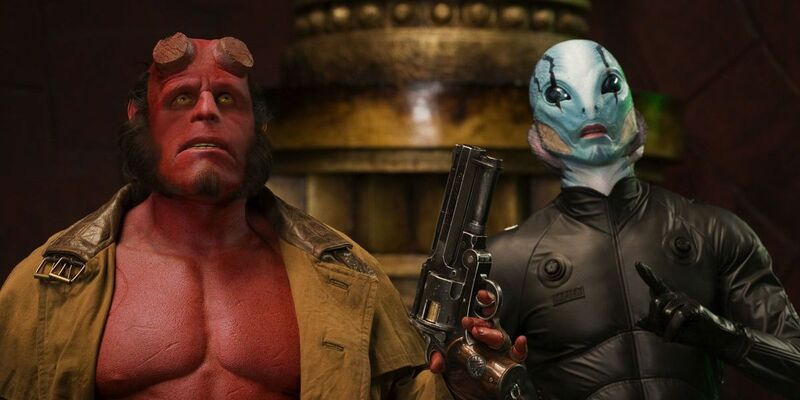 The result is a visually stunning adaptation of Mike Mignola’s Dark Horse comics series starring good-hearted demon Hellboy and his fellow paranormal investors. Admittedly, del Toro occasionally crunches tonal gears trying to shift between rollicking supernatural shenanigans and quirky humor. Nevertheless, Ron Perlman is perfect in the title role, and Hellboy such an enjoyable romp, it’s easy to overlook any flaws. Impressively, del Toro hit it out of the park again with follow-up Hellboy II: The Golden Army – which is as good (or even better than) the original – although box office returns weren’t quite good enough to bankroll another sequel, and a reboot is on the way this year. 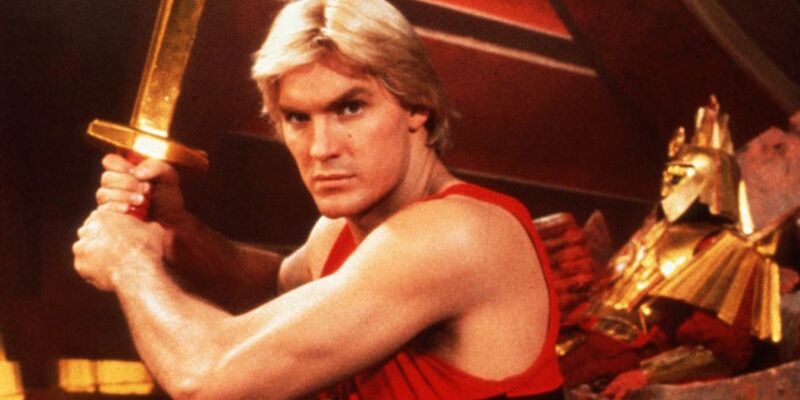 Ok, we get it: there is a lot to love about Flash Gordon, a film that serves as the very definition of “cult classic”. For one thing, it boasts a soundtrack – including a truly iconic main theme – by none other than rock legends Queen. Then there are the outrageous costume designs, vivid visual effects, and scenery-chewing performances by acting greats like Max von Sydow and Brian Blessed to consider. However, there’s also plenty not to love about Flash Gordon. Sam J. Jones is wooden as the eponymous football star turned intergalactic champion, and the special effects aren’t exactly best in class. And even if you can overlook these two rather significant shortcomings, your enjoyment of Flash Gordon will still depend on how much appetite you have for campy superhero adaptations. Megamind is far from the most original movie on this list – to be honest, it’s basically a mash-up of The Incredibles and Despicable Me. But while it might not break any new ground, what director Tom McGrath’s animated family feature about a super-villain who discovers his inner hero does do, it does well. The character designs are colorful, the animation slick and the jokes funny. But what really earns Megamind the thumbs up is its roster of stellar vocal talent led by Will Farrell, who deserve much of the credit for ensuring most of the gags land. 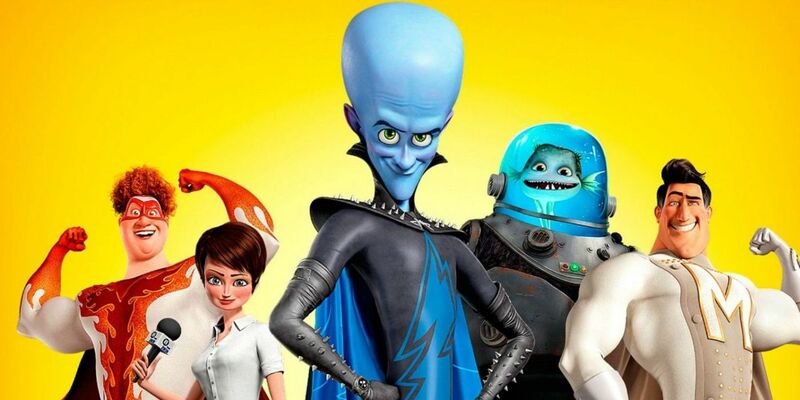 So while Megamind might not reinvent the superhero movie formula, it’s never anything less than entertaining. 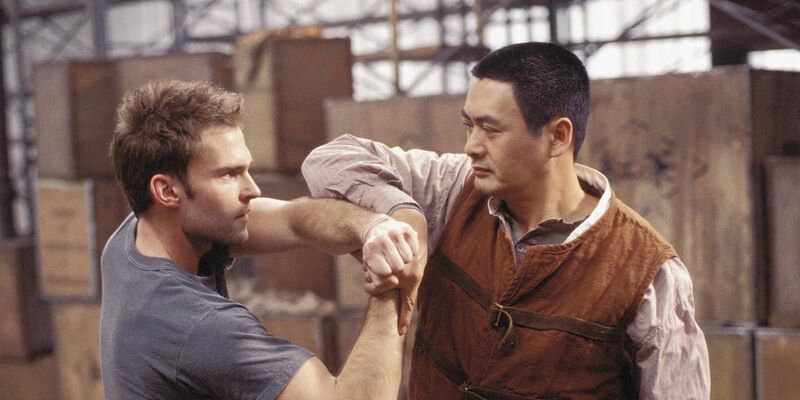 Fans of Bulletproof Monk by Brett Lewis and Michael Avon Oeming will be quick to point out just how little it has in common with its poorly received big screen counterpart. There’s a reason for their haste to set the record straight: Paul Hunter’s movie isn’t very good…like, at all. Yes, the broad strokes of the original Bulletproof Monk story made it onto the big screen (albeit very badly mangled) – and martial arts star Chow-Yun Fat fits the Nameless Monk role like a glove. However, Seann William Scott is far less satisfying as plucky sidekick Kar, and the whole endeavor is undermined by a weak script, bland visual effects and, most of all, curiously pedestrian action scenes. A fun throwback to the Saturday matinee serials of the 1930s and ’40s, The Rocketeer is brimming with retro charm and thrilling derring-do. Director Joe Johnston’s take on Dave Stevens comics series ticks all the right boxes: the good guys are square-jawed, the villains dastardly and the dialogue sprinkled with just the right amount of cheese. It’s true that the more adult elements of the original funny-books were toned down at the behest of Walt Disney Pictures. Yet Johnson faithfully captures the spirit of Stevens’ work, and has translated as much of the comics’ world into live-action, right down to the iconic helmet worn by lead Billy Campbell. 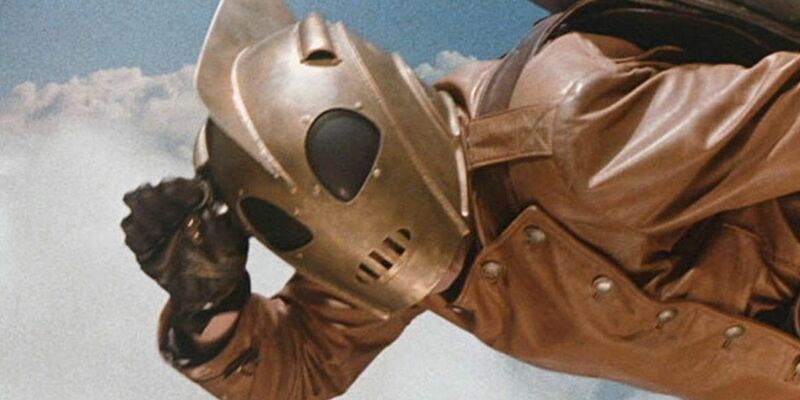 Sadly, The Rocketeer was one of several ’90s period piece superhero joints to tank at the box office, but owing to its strong cult following, a soft reboot is currently in production. 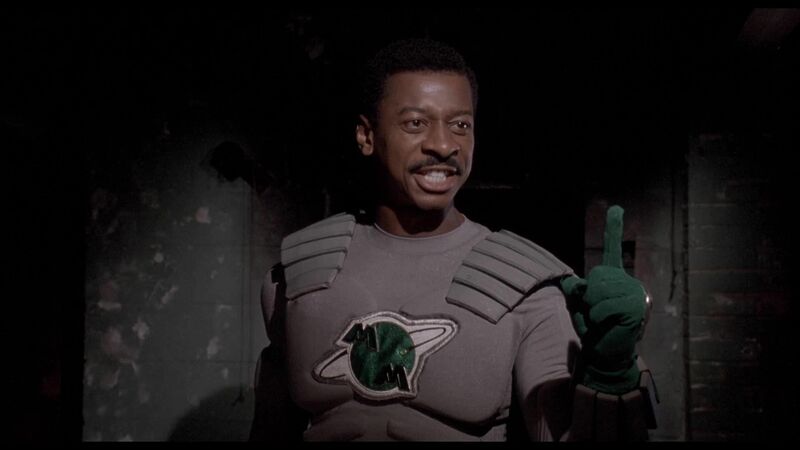 Decades before Black Panther took the world by storm, another superhero movie arrived in theaters that featured a predominantly black cast and crew: The Meteor Man. But that’s where the similarities end between Marvel’s blockbuster smash-hit and Robert Townsend’s action/comedy superhero adventure. It’s not that Meteor Man isn’t well-intentioned, or that it’s lacking in heart. You can definitely tell that everyone involved was trying to make something truly special. 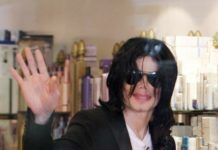 But Jackson – who not only plays the titular role, but also penned the script and sat in the director’s chair – has saddled himself with a sitcom-esque screenplay that oscillates wildly from broad laughs to clumsy melodrama. Occasionally, it does elicit a chuckle or a gasp – but these moments are few and far between. Sam Raimi propelled himself onto the Hollywood A-list with the original Spider-Man trilogy in the 2000s, but he first enjoyed more modest success in 1990 with another superhero picture, Darkman. 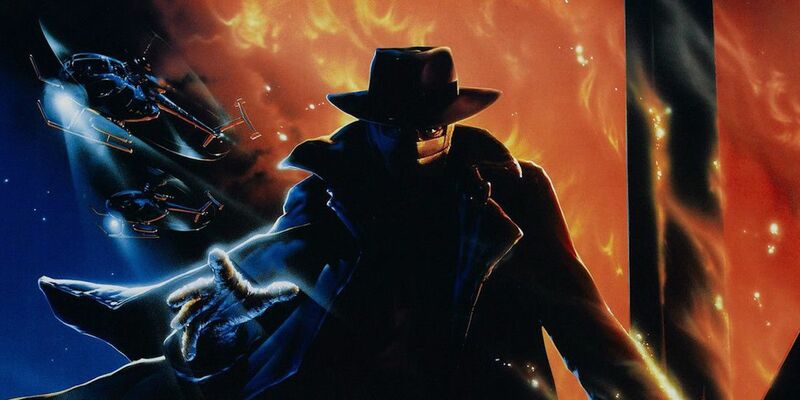 Intriguingly, Raimi initially set out to helm either Batman Forever or The Shadow, but he was ultimately forced to create his own character, instead. Fortunately, Darkman turned out to be an inspired invention, with his tragic origin, distinctive aesthetic and stripped-back powers. 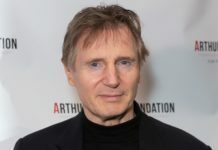 It doesn’t hurt that Raimi was able to recruit an actor of Liam Neeson’s caliber to play the part, and he – along with the presence of two-time Oscar winner Frances McDormand as love interest Julie – really elevates proceedings. Their acting prowess, coupled with the infectious glee with which Raimi approaches the pulpy subject matter, makes Darkman well worth checking out. 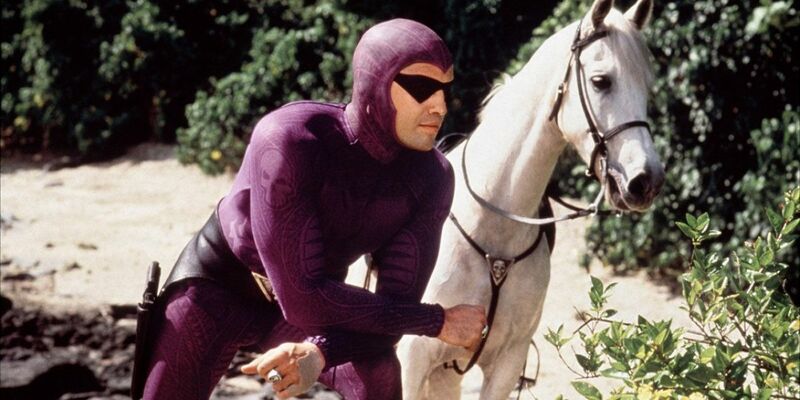 The Phantom is another of those ’90s superhero movies with a period setting that earned the dubious label “box office bomb”. In many ways, Simon Wincer and his cast and crew were unlucky – this cinematic version of Lee Falk’s long-running comic strip isn’t awful by any means. Indeed, Billy Zane serves up a likeable performance as mythic jungle adventurer The Phantom, and there’s an appealing, Indiana Jones vibe to Jeffrey Boam’s breezy screenplay – fitting, since he wrote The Last Crusade! But Wincer and co. made more than a few critical missteps when bringing The Phantom to cinemas. For one thing, Treat Williams is unbearably grating as the obnoxious (and nasal) antagonist, ruthless industrialist Xander Drax. Then there are the Skulls of Toganda, the mystical McGuffin driving the narrative, which don’t really fit with the established mythos of Falk’s canon. 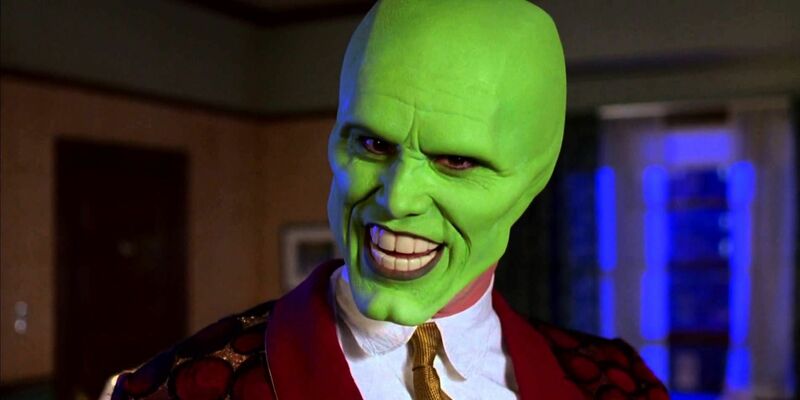 Based on an obscure Dark Horse Comics series, The Mask marries a performance by Jim Carrey at the peak of his OTT comedic powers with groundbreaking CGI courtesy of ILM. The outcome of this union only superficially resembles the comics run by John Arcudi, Chris Warner and Doug Mahnke on which it’s based, which isn’t exactly a good thing. Indeed, The Mask has more in common with the classic Looney Tunes shorts overseen by Tex Avery – and that’s not necessarily a bad thing, either. Certainly, the rapid-fire pace of the zany humor means that you’re never bored and often amused – and the visual effects employed to realize the Mask’s live-action cartoon shtick largely hold-up today. But Carrey’s hyperactive, kinetic stylings remain the best effect of all, while Cameron Diaz is effective as female lead Tina (her breakout role). It’s hard to decide what’s more offensive about My Super Ex-Girlfriend: how much it relies on sexist storytelling tropes and characterization cliches, or the amount of acting talent it squanders. Indeed, Uma Thurman is criminally underused in this forgettable superhero-themed rom-com, as are her co-stars, who include seasoned comedy pros like Luke Wilson and Eddie Izzard. Despite their considerable talent, there’s really not much they can do with a lazy script centered around a lame (and embarrassingly stereotypical) jilted super-heroine who wreaks havoc on her former flame’s love life. Toss in shoddy visual effects, unfunny jokes and a contrived climax that’s signposted a mile away, and you’re left with one of the worst attempts to bring an original superhero story to the screen. M. Night Shyamalan is arguably the most hit-and-miss director working in Hollywood right now. But when this guy is on, boy, is he on. 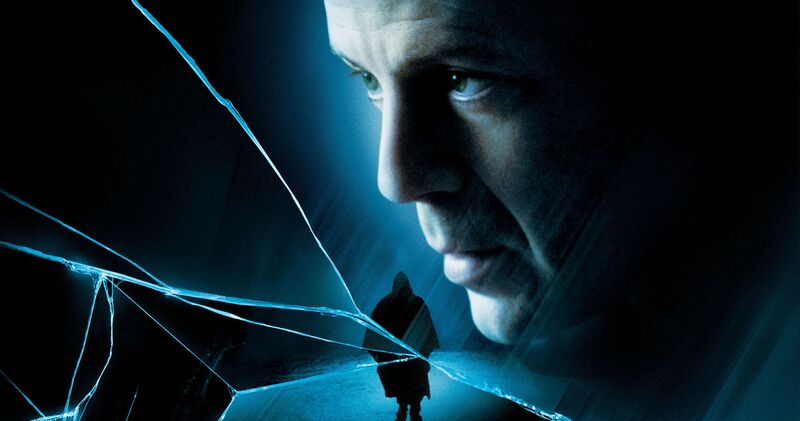 Take Unbreakable, which arrived hot on the heels of Shyamalan’s breakthrough film, The Sixth Sense: this moody meditation on the superhero genre is a prime example of the director at the top of his game. Strong turns by Bruce Willis and Samuel L. Jackson make for a compelling viewing experience that culminates in a signature Shyamalan twist ending that rivals anything in his filmography. Funny-book academics will balk at the comic book theory on display here (which is mostly hogwash), and it’s also fair to say that Shyamalan’s knowledge of superhero history doesn’t extend past 1961. Nevertheless, this is one of the finest examples of the “grounded superhero” concept and warrants multiple viewings. 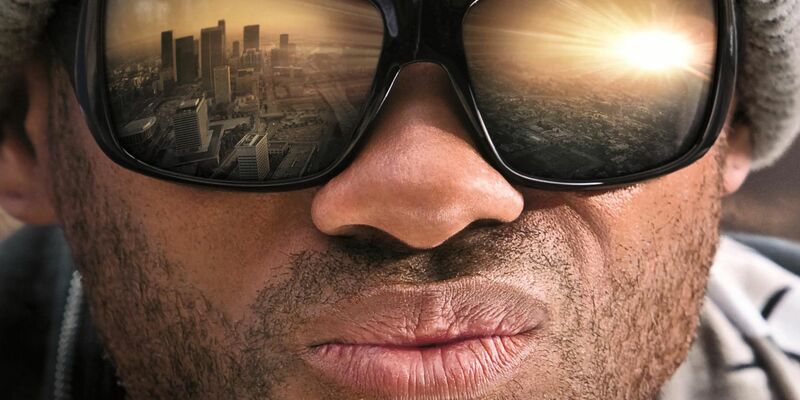 Not even Will Smith’s dependable charisma can save Hancock, which starts off strong before going completely off the rails before the credits roll. Much of this has to do with the script by Vincent Ngo and Breaking Bad’s Vince Gilligan, which soon abandons the action/comedy antics that make the film’s first half an absolute blast, in favor of a more somber tone. Director Peter Berg never manages to satisfactorily reconcile this jarring emotional shift, and audiences can virtually feel the joy draining from them throughout Hancock’s second half. Worse still, Berg is lumped with making sense of the bonkers mythology introduced around this point – apparently Smith’s Hancock and Charlize Theron’s Mary are immortal lovers destined to forever live apart – something he unsurprisingly isn’t able to do. It’s hard to escape the sense that clever superhero spoof Mystery Men was just a bit too ahead of its time when it dropped in 1999. Superhero movies hadn’t yet come to dominate pop culture the way that they have today – so casual viewers largely ignored this indie comics adaptation and it flopped as a result. This despite a stellar cast including Ben Stiller, William H. Macy, Claire Forlani, Janeane Garofalo, and Greg Kinnear, who wring the most out of a witty screenplay centered around Z-List superheroes trying to crack the big time. 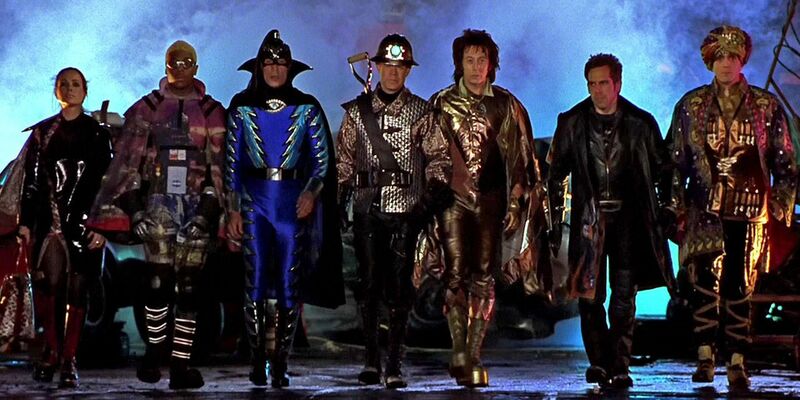 The tone is light, the gags knowing, and the characters likeable, so faced with a more comic book-aware public – and backed by a slightly bigger budget, while we’re at it – there’s not reason Mystery Men couldn’t have struck box office gold in 2019. The first thing most people ask when you mention 2011’s The Green Hornet is “Who the heck is the Green Hornet?” It’s a valid question, considering modern audiences aren’t familiar with the 1930s radio show, its 1960s TV adaptation – which, incidentally, starred Bruce Lee – or any of the other media headlined by dapper crime-fighter Brit Reid and his sidekick Kato. It’s also not the most pertinent question, either. That has to be “Can Seth Rogen portray a superhero convincingly?” The answer is a resounding “no” – this heavyset funnyman is woefully miscast as Reid. Looking wider afield, Oscar winner Christoph Waltz and Cameron Diaz (her again!) are poorly served by the anemic screenplay. By-the-numbers set pieces and a needless 3D conversion complete this ill-conceived undertaking, which isn’t funny or exciting enough to work as either a comedy or an action blockbuster. 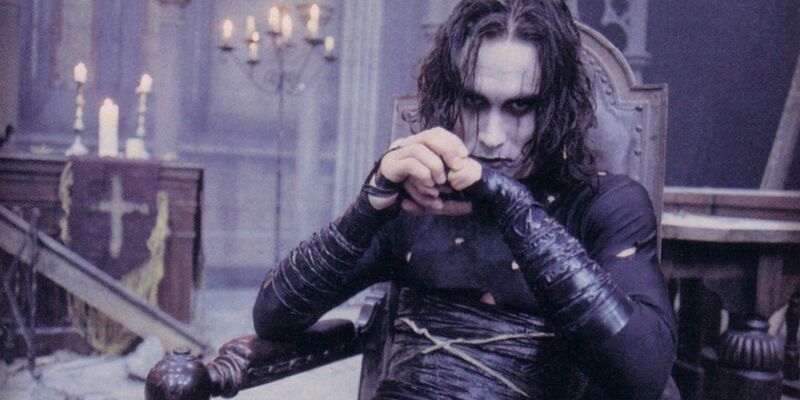 In the decades since its release, The Crow has been largely overshadowed by Brandon Lee’s demise, after the actor suffered a fatal injury during principal photography. 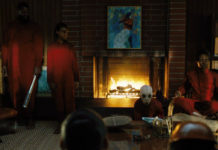 And while Alex Proyas’ brooding adaptation of James O’Barr’s comic book series undoubtedly serves as a bittersweet tribute to its departed star, it’s also a decent flick in its own right, too. Admittedly, The Crow is a decidedly “style over substance” affair – the plot and characterization definitely take a back seat to the stunning production design and dynamic fight sequences. Still, Lee’s committed performance holds it all together, while his real-life fate lends added poignancy to his portrayal of the Crow, a man resurrected by supernatural forces after losing his life prematurely. 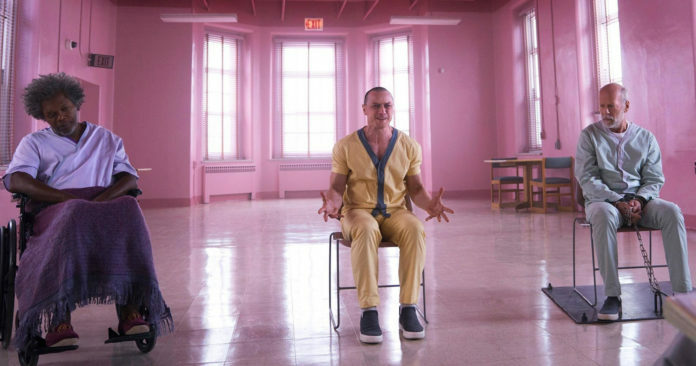 Remember how we mentioned that M. Night Shyamalan was a notoriously inconsistent filmmaker? Well, Glass may just be the worst evidence of this frustrating phenomenon. 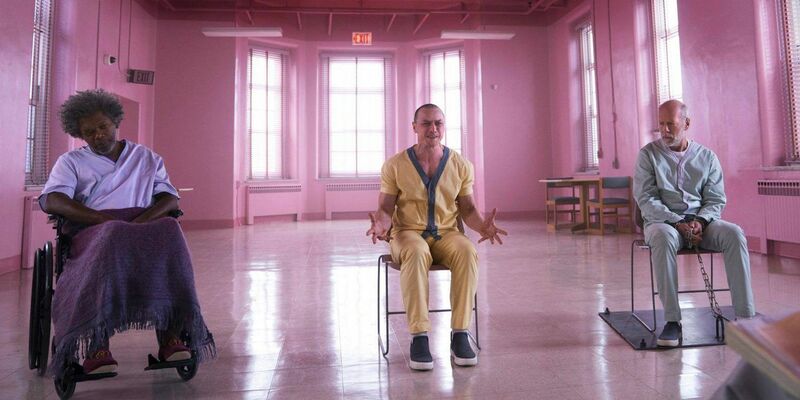 After the exhilarating one-two punch of Unbreakable and its belated stealth sequel Split, fans were optimistic that Shyamalan would be able to bring the so-called Eastrail #117 trilogy to a worthwhile conclusion. Sadly, that optimism was unfounded – despite getting off to a good start, Glass shatters the moment you think too hard about anything that happens from about the halfway point (if not earlier). Seriously: the plot hole-riddled narrative quickly descends into ludicrousness, even by the standards of the superhero genre. Without a solid story to latch onto, not even the best efforts of Bruce Willis, Samuel L. Jackson and MVP James McAvoy are enough to salvage this one. The Incredibles represents what happened when writer-director Brad Bird put Watchmen, the 1960s Fantastic Four comics and Pixar’s entire library of animated features into a blender. Amazingly, this eclectic blend goes down a treat – a brilliant all-ages superhero outing that deftly juggles bravura action scenes with a heart-warming story about family and what it means to be special. The key to pulling off this nimble balancing act is The Incredibles’ uniformly excellent voice cast, which features acclaimed actors Craig T. Nelson, Holly Hunter and Samuel L. Jackson. 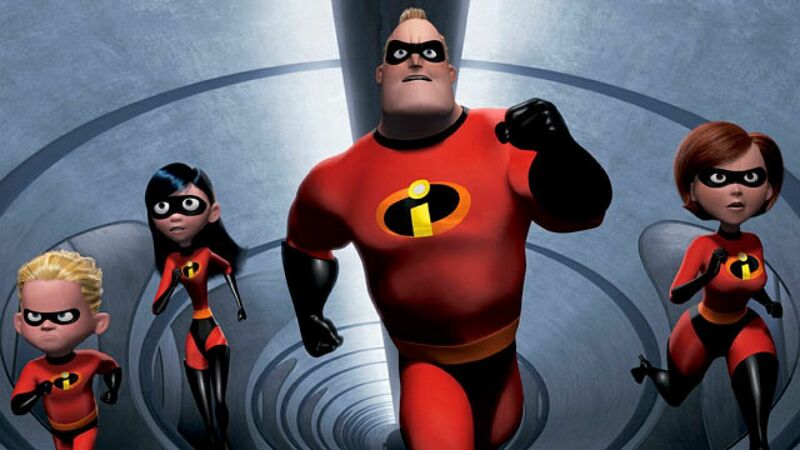 And best of all, Bird was able to do it all over again with nearly-as-good sequel The Incredibles II – which means that once you’re finished watching, you can dive straight into another adventure! It’s a safe bet that some of you will be a bit miffed to learn that Super has found its way onto this list. After all, James Gunn’s spin on the increasingly popular “real-world costumed vigilante” concept enjoys a cult following. But we’ve gotta say, we really struggle to see the appeal of this black comedy and its uneasy blend of graphic violence and often surreal humor. 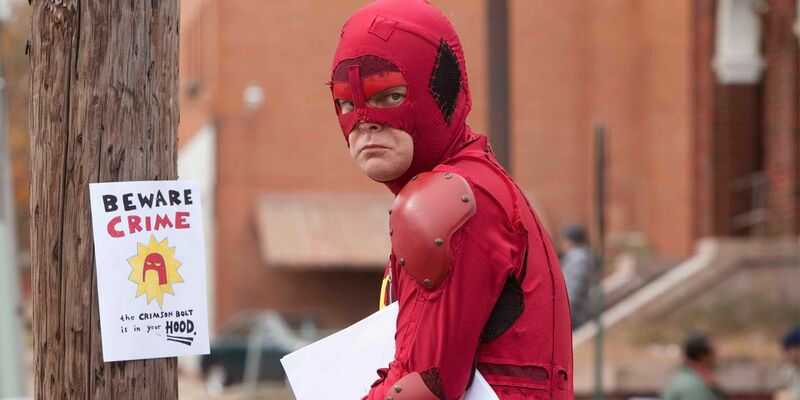 In fairness, there are some good ideas here, and Rainn Wilson gives it his all as wannabe superhero, the Crimson Bolt. While we’re at it, Ellen Page also deserves a shout-out for her predictably capable performance as Wilson’s young partner, Boltie. But at the end of the day, Super bites off more than it can chew, introducing weighty themes it can’t hope to address before tacking on a happy ending that feels utterly undeserved. Josh Trank has objected publicly to his found footage feature Chronicle being branded a “superhero movie”. However, considering his idea of what does deserve this label is the universally-panned Fantastic Four reboot, maybe that’s not such a bad thing! Snark aside, we all know a superhero flick when we see one, and Chronicle – with its telekinetic protagonists and themes of power and responsibility – categorically fits the bill. If we’re being honest, we’d like to dock the film a few points for going back to the “grim consequences of having superpowers in the real world” well for the zillionth time. But we’re also more than willing to dish out ample kudos to Trank and his cast and crew for telling an engaging, character-driven story that somehow delivers a spectacular finale despite its modest $12 million budget. Do you have a favorite (or least favorite) non-Marvel or DC superhero movie? Let us know in the comments! January 24th, 1979 – Marvel UK, 40 years ago this week.